In The Gambia, Malaria, Diabetes, Strokes, Acute Respiratory Tract Infections and Diarrheal diseases ranked among the most important causes of morbidity and mortality. Fajara Rotary health care development projects ensure maximum impact and a long term return on investment by training and equipping local medical professionals to mange the development and delivery of health care awareness and disease prevention training programs that empower disadvantaged and under developed communities in The Gambia. Rotary Club provides immunizations and antibiotics to babies, improve access to essential medical services, and support trained health care providers for mothers and their children. Volunteer health professionals, doctors, nurses, lab technicians, social workers, counselors and anybody experienced in the health sector are always needed for projects organised by the Fajara Rotary Club. 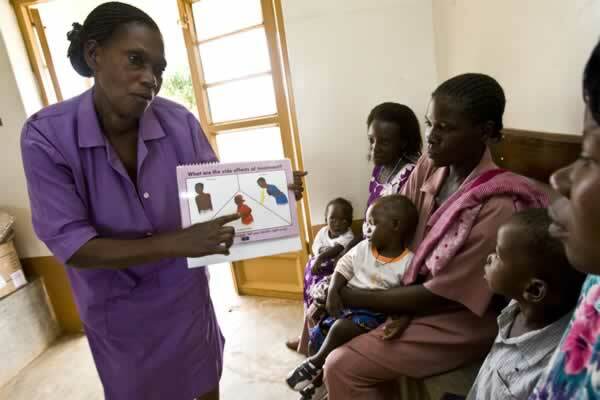 Rotary International projects are helping to educate and mobilise local communities to help prevent the spread of major diseases such as polio, HIV/AIDS, and malaria. Fajara Rotary Club is working to improve and expand access to low-cost and free health care for women in the underdeveloped areas of The Gambia.